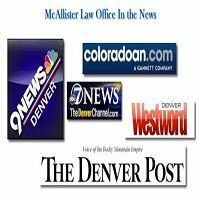 When you need knowledge, strength, experience, and confidence on your side call Denver Attorney Sean McAllister. Criminal, DUI, and Colorado Marijuana law expertise is what our firm is focused on. Mr. McAllister has over 14 years of experience as a criminal lawyer with extensive trial and pre-trial litigation to his credit. His trial victories include wins in vehicular homicide, marijuana cultivation, drug possession, and civil litigation cases. Contact Sean today to discuss your legal situation! McAllister Law Office has been rated with 5 out of 5 stars based on 1 customer review. Fixr has reviewed the content provided by McAllister Law Office to match our community guidelines. McAllister Law Office has been rated with 37 experience points based on Fixr's rating system. Fixr has validated the email provided by McAllister Law Office. I was recently stopped by the police while vacationing in Denver and I was arrested for driving under the influence of drugs (marijuana). The Denver police took a blood draw and that pretty much sealed the deal for a DUID for me. The next day I was released and started calling any attorneys I could find who had experience in marijuana related DUI cases and almost everyone I spoke to said I need to call McAllister Law Office. I remembered seeing them on the NORML website so I called and spoke with Nadav Aschner. Being I lived out of state I needed someone who could represent me so I would not have to fly out a bunch of times and possibly lose my job and have the headaches and all the expenses. Right from the start I could tell Nadav had the knowledge, experience and confidence I was looking for. Nadav was extremely knowledgeable on Colorado law and even went the extra mile to research how the arrest would affect me in regards to possibly losing my license in my home state. Nadav took care of everything and I only had to fly out once for the sentencing. In the end Nadav was able to get my driving under the influence of drugs (DUID) charge reduced down to a driving while ability impaired (DWAI) which meant a much lighter sentence for me. I am looking at 9 months unsupervised probation and a small amount of community service and minimal court costs thanks to Nadav. I would highly recommend calling McAllister Law Office and asking for Nadav. He was great at calling me whenever I had a question or replying by email. Use these guys, they are worth every penny. 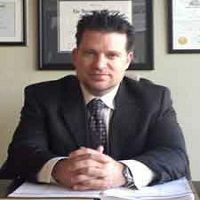 I would also mention that my decision was also highly based on the cost since I am on a budget and they had a very fair price in comparison to the many other lawyers I called in the area and they were able to work with me with very manageable payments. I really can't thank Nadav and the staff at McAllister Law Office enough for all they have done.